Philosophy for busy people. Listen to a succinct account of the philosophy of J.S. Mill in just one hour. John Stuart Mill is remembered today as the leading exponent of Utilitarianism, arguing that our aim in life must be the attainment of pleasure and the minimizing of pain for the majority of people. The principle that lies at the heart of Utilitarianism is 'the greatest benefit of the greatest number' - an idea that perhaps seems self-evident today but one that was seen as radical within Mill's own time. This central idea has become the unspoken founding principle of our modern way of life in the free Western democracies. This audiobook is an expert account of J.S. 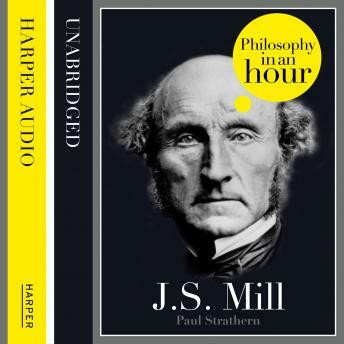 Mill's life and philosophical ideas - entertainingly written and is above all easy listening. Also included are selections from J.S. Mill's work, suggested further reading, and chronologies that place J.S. Mill in the context of the broader scheme of philosophy.